The University of Scranton offers 3 distinct Master of Science programs through the Chemistry department - Biochemistry, Chemistry, Clinical Chemistry. 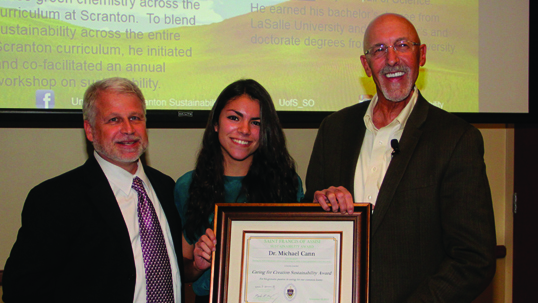 The first chemistry graduate program at The University of Scranton was offered in 1969, the biochemistry program in 1972, and the clinical chemistry program in 1988. 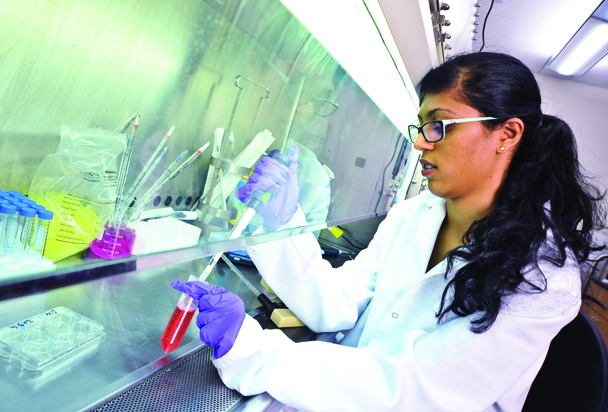 Students typically enter the University's graduate programs in chemistry or biochemistry with undergraduate majors in chemistry, biology, or another natural science; in the case of the clinical chemistry program, they may also enter with an undergraduate major in medical technology. Many enter the program immediately after earning their undergraduate degree; others enter while employed by industry, various medical laboratories, or educational institutions. Applicants for the MS programs in Chemistry must possess, or be in close proximity to possessing, a baccalaureate degree which includes full-year courses in General and Analytical Chemistry, Organic Chemistry, Physical or Biophysical Chemistry, General Physics, and Mathematics through Integral Calculus. A GPA of at least 3.00 is required overall and a GPA of at least 2.75 is required in the science courses. Certain requirements may be waived at the discretion of the department. Students with limited undergraduate course deficiencies may be admitted with the approval of the department on condition that such deficiencies are corrected concurrently with their initial graduate course. Core courses are those, within each program, that are required of all candidates. Since these are the fundamental courses that form the basis of the comprehensive examinations, it is essential that they be taken first in any candidate’s program before any electives. *May be waived for individuals who have previously taken an equivalent instrumental analysis laboratory course. 2018-2019 Catalog - Chemistry, M.S. *May be waived for individuals who have previously taken an equivalent instrumental analysis laboratory course. With permission, CHEM 560/CHEM 561 may be substituted for CHEM 563 for those with a less complete background. 2018-2019 Catalog - Biochemistry , M.S. *While registered for CHEM 556, the student will participate in a clinical affiliation. This course will ordinarily be taken as the last course in the student’s program. +May be waived for individuals who have previously taken an equivalent instrumental analysis laboratory course. 2018-2019 Catalog - Clinical Chemistry, M.S. They encourage students to act as self-starters, empowering them to take the lead in classroom discussions, group projects and lab activities. Our program is approved by the American Chemical Society, the largest scientific society in the world. Grounded in Jesuit values of cura personalis – care of the whole person – our chemistry program provides a rich, well-rounded learning experience. Each year approximately 20 students in the Chemistry programs hold graduate teaching assistantships. Some of these are in the Chemistry Department, and some are in other departments (such as Biology). GTA’s in the Chemistry Department must be in the M.S. Thesis Track program. They are responsible for conducting undergraduate laboratory or recitation sections during the two regular semesters. A graduate assistant receives a stipend and is eligible for a tuition scholarship. 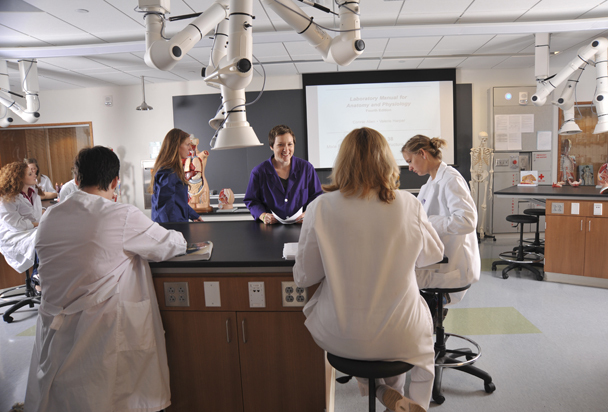 You'll have access to the latest lab equipment and all the tools you'll need in the state-of-the-art Loyola Science Center..
Our professors have a range of specializations providing a wide breadth of research options for our students. GTA's assist faculty in the delivery of course content. Meet the 2018-19 grad assistants for the Chemistry dept. 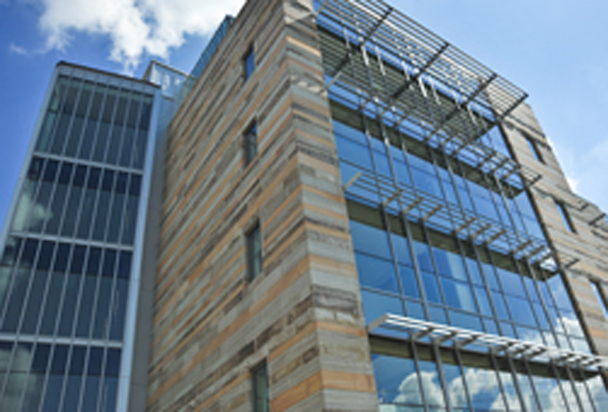 The Loyola Science Center is designed to serve as a center for collaborative learning for all members of the campus and community. It is our goal to make science accessible and welcome to all, and to highlight science as a human endeavor. The facility incorporates today's most innovative science teaching techniques into a dynamic, modern design that includes inviting spaces for student/faculty collaboration, visible glass-walled laboratories and the efficiencies of using shared instrumentation. What industries employ Chemistry graduates? Data from the ACS Committee on Professional Training Annual Report indicate that the University was tied for 18th in the nation in producing master’s graduates (17) in 2013-2014 as noted in the 2014 edition of the ACS Directory of Graduate Research. We were 6th among all terminal programs in the number of master’s graduates. We are the leader among Jesuit universities in the United States and have granted more master’s degrees in the chemical sciences during this time period.